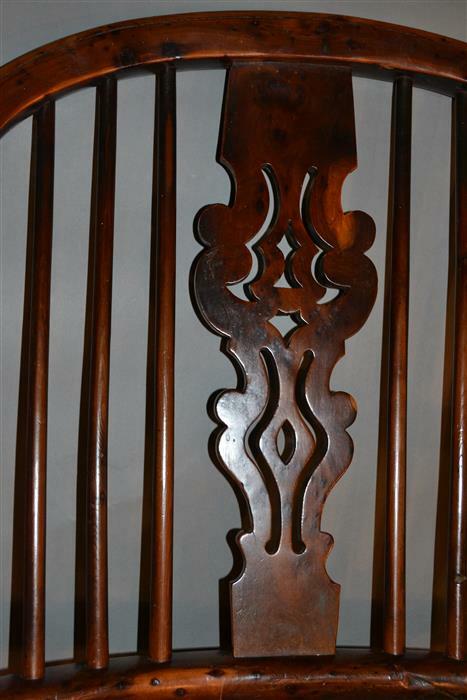 Suffolk House Antiques | A fine yew wood "Best chair". A FINE YEW WOOD "BEST CHAIR". A mid 19th century Nottinghamshire high back Windsor armchair just bought privately. 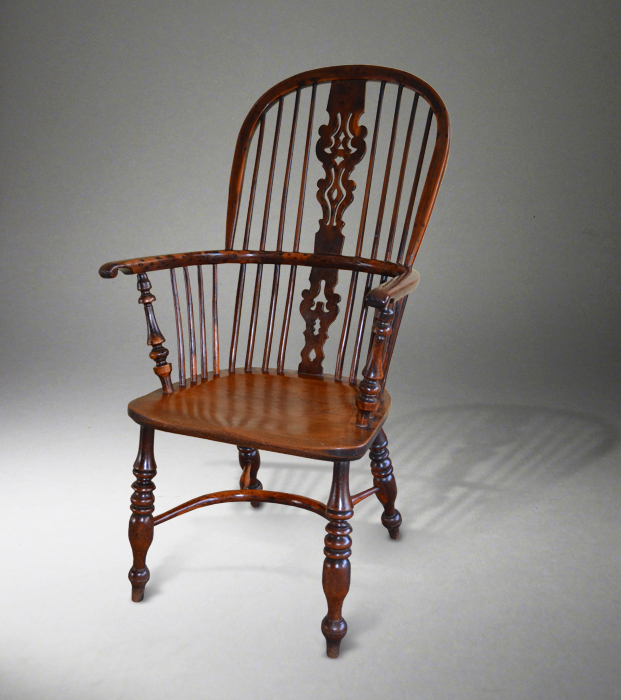 All in yew apart from an elm seat, it has all the features that one looks for in a "best chair" including a burr yew splat, crinoline stretcher and notches under the arms. Excellent colour and patination. SOLD.